Like Taoists, Buddhists use meditation to unite the mind and the body. Buddhists and Taoists both use meditation to calm the mind and seek peace, satisfaction and happiness within themselves. Taoism worships outward deities, and believes in a complex system of gods, while Buddhists look inward to find enlightenment. Meditation assists both Buddhists and Taoists in expressing their respective faiths. Both traditions view meditation as a means of uniting the body with the mind or spirit. Taoists combine physical acts, such as yoga and meditation, with spirituality, and do not draw a clear distinction between their physical and spiritual selves. 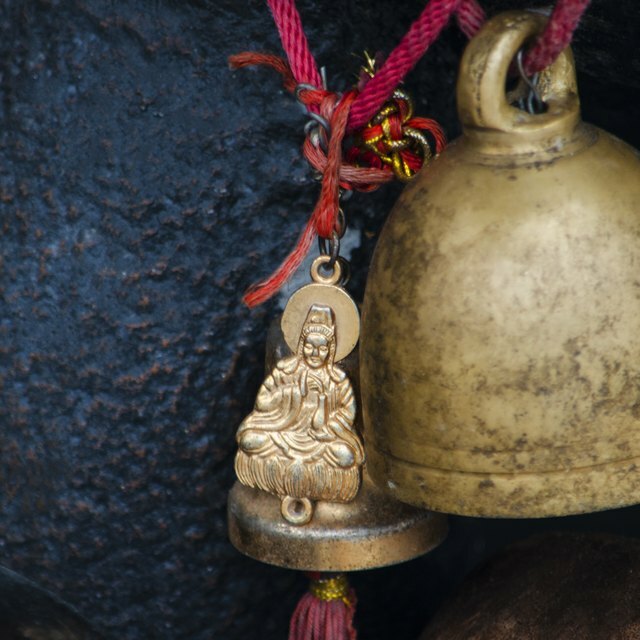 To meditate, Taoists focus on talismans; objects that they believe will bring them luck. They combine focus on external objects with internal reflection. The Taoist talismans consist of pieces of paper on which holy people write religious symbols and words. They believe talismans hold various powers, such as healing the sick and protecting people. Taoist meditation does not require specific postures or chants. Some describe Taoist meditation as a deep concentration. Buddhists also use meditation to unite the body and the mind. 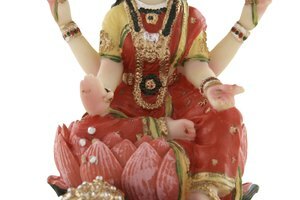 Typically, meditators sit in the lotus position with their legs crossed on opposite thighs. Some practices simply focusing on the natural breath without altering it. Others count the breath in sets of ten, or focus on an object, such as a candle or a stone. 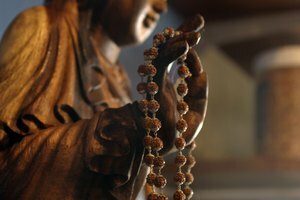 Some Buddhists use walking meditation or meditate using beads. Anther type of meditation is the metta bhavana, or meditation of loving kindness, in which practitioners focus love onto four different people; themselves, a person who the meditator likes, a person the meditator feels indifference to and a person the meditator dislikes. Taoists describe meditation as being like water that slowly smooths away rocks; likewise, they believe meditation smooths away the rough areas of the soul. Taoists look to meditation to unite the body, mind and spirit. Meditation is meant to move a practitioner from a focus on the physical body, to the psychological mind and finally to a spiritual level. Taoists believe meditation helps them unite with the universe, with other people and with nature. 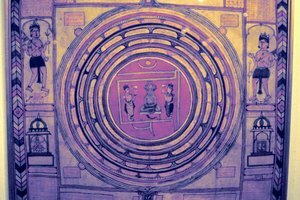 However, Taoists also believe the body is a universe in its own right, and meditation -- as well as certain other physical acts such as yoga and tai chi -- are methods of exploring it. Like Taoists, Buddhists believe that meditation unites the body and the mind into one single entity. Buddhists focus on avoiding what they call duality, or a separation between the two. They believe meditation can still the mind from its natural state of continuously flowing trains of thought. The meditation of loving kindness helps Buddhists adhere to their first precept, which forbids causing harm to any living thing. Buddhist meditation helps practitioners uphold their own precepts by stilling the mind, ridding themselves of the passion that causes suffering and finding true enlightenment. 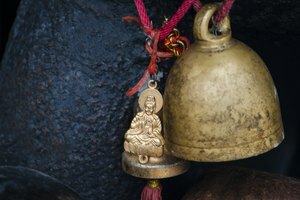 How Do Taoists Practice Their Beliefs? How Are Shiva Lingam Stones Used? Where Do Buddhist Go to Worship? Peckinpaugh, Timothy. "Taoist Meditation Vs. Buddhist Meditation." 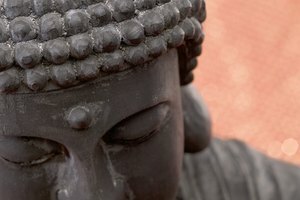 Synonym, https://classroom.synonym.com/taoist-meditation-vs-buddhist-meditation-12086856.html. 29 September 2017. What Do Hindus Call Their God?